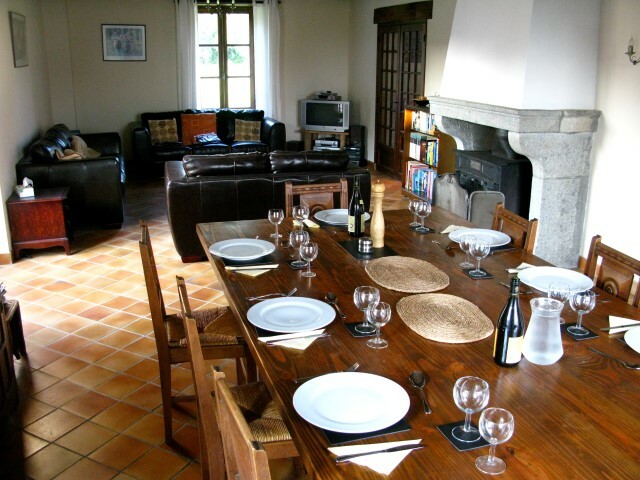 Set in beautiful and well maintained private grounds, the Motobreaks accommodation occupies a three storey, 100+ year old, spacious Maison de maitre. A comfortable and welcoming home from home, that’s perfect for motorcyle breaks and holidays. The outside area is extensive with an enclosed garden where you can soak up the sun or perhaps catch up on your holiday reading. 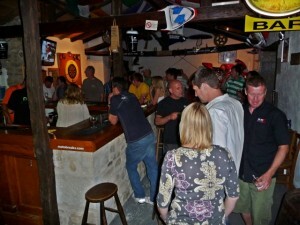 Also outside you’ll find the barbeque area which becomes a hub of activity most warm evenings. Motobreaks is able to offer varying types of accommodation. There are twin, double and triple rooms available, most with en-suite facilities, while others share a bathroom and separate w/c. Tea and coffee making facilities are available in all our en-suite rooms. 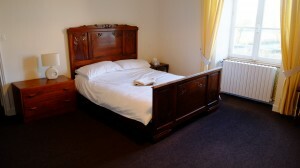 Our twin rooms usually have a double and single bed. If you are booking online and are unable to find the type of room you would like please contact us. Our comfortable guest lounge and bar/ games room are the perfect places to relax at the end of the day with good friends, a glass or two of something chilled, a game of pool or even a lap or two on our Sega Manx TT Superbike video game. Dining combines the best traditional local dishes with some good old British favourites; and when the weather is warm, relaxed alfresco eating is a must! We have secure indoor and outdoor bike parking. Outdoor bike wash facilities, along with a well stocked workshop, including a tyre changing machine and all the tools you need to keep your pride and joy in perfect condition, should you need to. Free WiFi/ Broadband Internet access is also available.